How do I know if I have a valid Medical Malpractice Claim? 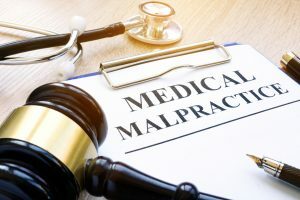 There is often confusion surrounding what medical malpractice is and what constitutes a circumstance that would warrant making a medical malpractice claim. Many people make the mistake of assuming that if they are to undergo a medical procedure, or have to undergo an emergency surgery, and the result is less than ideal then the fault lies on the doctor, hospital or other medical staff. We place a lot of trust in healthcare professionals, and that trust should be met with a rigid set of policies and behaviors that doctors should adhere to. It is important to remember that some medical circumstances are not curable, and that the body is not a machine; it does not give us any guarantees. Medical doctors are highly trained and educated professionals, however they are not magicians. With that being said there are particular circumstances where the doctor, hospital or other medical staff can be held liable for injuries caused while a patient is under their care. Medical malpractice is legally defined as a deviation from the standard of care that causes harm or when a hospital, doctor or other health care professional, through a negligent act or omission, causes an injury to a patient. This negligence may be the result of errors in diagnosis, treatment, and aftercare or health management. At The Law Offices of Michael P. Burakoff, P.A., we have more than 25 years experience representing malpractice victims throughout New Jersey. That experience helps us recover full and fair compensation for our clients who have been the unfortunate victims of medical errors and malpractice in towns across Morris County and Sussex County, including Newton, Netcong, Dover, Denville, and Morristown. Please call us to know about your case and offer you our legal advice by calling (973)520-0525. What Makes A Valid Medical Malpractice Claim in Sussex County NJ? Doctors in some states are more likely to face a malpractice lawsuit than their equals in other states. According to data released by the National Practitioner Data Bank New Jersey ranks 7 in the nation. According to recent statistics, in New Jersey, the rate of malpractice suits per 100,000 residents is about 30.4% resulting in a total payout of $256.3 million, with a 4.59% increase from previous years. Medical standards that are recognized by profession as being acceptable medical treatment by reasonably prudent health care professionals under like or similar circumstances is known as the standard of care. Every patient has the legal right to expect that health care professionals will deliver care that is consistent with these standards. Negligence can be established if these standards of care have not been met. It is not sufficient that a health care professional simply violated the standard of care for a medical malpractice claim to be valid. It is also necessary to prove that an injury was suffered that would not have occurred in the absence of negligence. It must be proven that significant damages resulted from a wound received due to medical negligence. To present a strong medical malpractice claim, it must be shown that the injury resulted in disability, loss of income, unusual pain, suffering or significant past and future medical bills. There are too many frivolous medical malpractice lawsuits. A report by the American Association for Justice shows that in reality only 1 in 8 victims of medical malpractice file suit. Medical malpractice lawsuits drive up healthcare costs. This belief traces its origins to a 1980s, and early 1990s debunked study. Fact is, the total cost of defending against medical malpractice claims and the paying of settlements and verdicts comprises only 0.3 percent of healthcare spending according to the above mentioned study. Doctors are leaving the profession in droves. The reality is that being a doctor is still a very lucrative career and the number of doctors has been steadily increasing, even outpacing population growth. When anyone is injured due to a doctor or hospital negligence, it is crucial that they receive the compensation they need and deserve. The effects and damages caused by medical mistakes can be life-altering and life-long. It is critical to have an experienced attorney at your side to fight for your rights and help you to get on the path toward being whole, or as whole as possible. If you feel that you or someone you know may have a medical malpractice claim, it is critical to contact an experienced injury attorney. The Law Offices of Michael P. Burakoff, P.A. can become your best ally in the middle of your tough situation. Please call either our Morristown office or our Newton office today at (973)520-0525 or contact us online to discuss your individual needs, concerns, and the situation regarding any kind of medical malpractice in a free and confidential consultation. New Jersey, as the most densely populated state in the country, traffic congestion and car accidents are seemingly unavoidable based on the statistics. Whether it’s people who tailgate, change lanes without turn signals, or ignore the speed limit, the likelihood of being in a motor vehicle accident is more often a matter of “when” not “if”, in the Garden State. Awareness about what to do in the event of an accident is key to protect the integrity of your claim and maximize the possible settlement amount that you or a loved one may be entitled to, including being made whole for lost income, medical expenses, pain and suffering and any personal injuries. New Jersey vehicle accident laws can be complex, and dealing with insurance companies can be overwhelming. There are countless intricacies in the law and even more circumstances where the accident or injury becomes a financial road block in your life. You may be hospitalized or unable to go back to work. Worse yet, you may still be in pain or experiencing moments of discomfort that make work and home-life unbearable. Some serious injuries have long-term or permanent effects, including pain, scarring, limited range of motion, or more severe disability. Having someone who can to protect your rights after a car accident, and help you secure your claim is critical. At The Law Office of Michael P. Burakoff, we have extensive experience helping the victims, and their families, recover financial compensation through personal injury and wrongful death claims in towns across New Jersey, Morris County, and Sussex County, including Netcong, Dover, Denville, Roxbury, Parsippany, Hopatcong, Florham Park, East Hanover, Morristown, Morris Plains, Mt. Olive, and more. Please, call our Morristown or Newton office today to discuss your unique needs, concerns, and situation regarding any kind of car accident injury with our legal team in a free and confidential consultation. Have the police document the scene (e.g., road conditions and location details) and interview the drivers of the accident vehicles, passengers or witnesses. If for some reason the police fail to show, go to the station within 24 hours of the accident to file the report in person. Use your mobile phone to photograph the vehicles, the accident scene and property damage, weather conditions, skid marks, and injuries to yourself or passengers. Name, address, phone number, driver’s license information, car registration, auto insurance, and license plate. Accepting responsibility prior to an accident report or an investigation could make processing your claim challenging. Surveillance footage, the police report, eye-witness statements, and photographic documentation of the accident scene, vehicles and surrounding area may better be able to identify the party at fault. Seek medical attention within 72 hours of the accident. Medical records are vital evidence in supporting your accident-related injuries. Seeking treatment immediately following an accident allows a medical professional to diagnose your injuries, link them to the accident, and prescribe the appropriate treatment. Delaying medical care from a doctor or chiropractor could cause insurance companies to doubt the seriousness of your injuries. This document allows an insurance company to access your medical history and in doing so, they might reduce or deny your claim due what they consider pre-existing injuries. Insurance companies often hire private investigators to surveil those claiming severe medical injuries, so leading a very active and athletic social life on Instagram or Facebook would be counterproductive to one´s case. It may takes months to settle a claim, but if you get an insufficient settlement offer, appropriate documentation should support your demand for fair compensation. It often takes a longer period of time for serious injuries to become evident or for treatment or surgery to provide the maximum benefit to the injured party. So never settle your claim before you need to. At The Law Offices of Michael P. Burakoff, our legal team has more than 35 years of experience helping clients to recover the compensation they need and deserve for car accident injuries in towns across New Jersey, Morris County, and Sussex County, including Parsippany, Newton, Dover, Netcong, Hopatcong, East Hanover, Denville, Mt. Olive, Morristown, and more. Our firm is unique among personal injury law firms in that we focus on working closely not only with our clients, but their families as well. Attorney Michael Burakoff understands just how difficult it can be for families to undergo the stress and hardship that a serious injury can cause, and as such believes in taking every legal step necessary to protect injury victims’ rights, obtain compensation for economic injuries, and help their entire family to recover from the tragedy of a serious car accident. To speak with Michael Burakoff and our legal team today in a free and confidential consultation regarding any kind of car accident injury or wrongful death, your options for making a successful personal injury claim and recovery, and how exactly we can help you to do so, please contact us online, or through either our Morristown or Newton office at (973) 520-0525. The spring and summer months are fast approaching. This means that many will be enjoying the freedom and independence that riding a bicycle can give you, especially around town and down by Morristown Square. 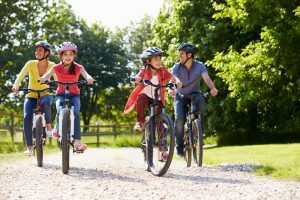 However, before you or your children hit the roads of New Jersey it is important to remember that bicycle accidents do happen and there are cyclist who suffer avoidable catastrophic injuries every year. In order to keep you and your loved ones safe, there are some important cycling tips you should know and remember. The Law Offices of Michael P. Burakoff, want you and your family to enjoy safe cycling on New Jersey’s roads, however, if you or someone you know has been injured while cycling due to someone else’s negligence we are here to help. We have extensive experience recovering full and fair compensation for our clients of all ages who have suffered personal injuries while cycling due to third-party negligence in towns across Morris County and Sussex County. Call either our Morristown office or our Newton office today at (973) 520-0525 to discuss your individual needs, concerns and situation. Cycling is a fun and usually safe activity enjoyed by both children and adults. In order to keep it a safe activity, here are some simple tips recommended by the National Highway Traffic Safety Administration (NHTSA). Inspect your Bike- Before riding any bicycle it is smart to make sure it is ready to ride. Inspect your bike to make sure all parts are working properly and are secure. Also, it is important to inflate tires properly and check that your brakes work. Adjust Your Bicycle to Fit- It is recommended that there should be 1 to 2 inches between you and the top tube (bar) if using a road bike and 3 to 4 inches if a using a mountain bicycle. Having a level seat is also recommended and the seat height should be adjusted to allow a slight bend at the knee when the leg is fully extended. In addition, the handlebar height should be placed at the same level as the seat. Use all proper safety equipment- It is the law in New Jersey that all cyclist must wear a properly fitted bicycle helmet. Protecting your brain can save you from serious traumatic brain injury as well as save your life. Once on the road, there are several things you must keep in mind. The first line of road safety is being seen. Whether in the day, at dawn or dusk, in foul weather, or at night, it is important to be seen by others. Wearing neon, fluorescent, or other bright colors when riding day or night can help you to be more visible to a motorist as well as other cyclists. Furthermore, wearing something that reflects light, such as reflective tape or markings, or flashing lights can further increase your visibility to others. Control of your bicycle is also an important factor in road safety. It is recommended to always ride with at least one hand on the handlebars. Any books or other items you may have in your possession should be safely stowed in a secure backpack or pouch that does not interfere with free movement. Being acutely aware of your surroundings can help you avoid many accidents. Not only cars and other cyclist but watch for and avoid road hazards such as potholes, broken glass, gravel, puddles, leaves, and dogs. If riding with a friend or in a group, yell out and point to the hazard to alert other riders. Watch for left- or right-turning traffic and always be aware of parked cars. An unexpectedly opened door is an ever-present danger. When riding it is important to be predictable. This means riding in a straight line and using hand signals to let drivers know your intentions. Furthermore, when turning left or right, you should always look behind you for a break in traffic, then signal before making the turn. It is important to remember that bicycles are considered vehicles and cyclists have the same rights and the responsibilities to follow the rules of the road as motorists. Go in the direction of traffic. Follow all traffic laws, signs, signals and lane markings. Yield to traffic when appropriate. It is important to remember that children under 10 are not usually knowledgeable of traffic laws and are thus much safer riding at safe speed on the sidewalk. Attorney Michael P. Burakoff knows the damage that third-party negligence can cause cyclist and their families if they are involved in an accident that results in damages or injuries. Our law office has decades of experience recovering full and fair compensation for our clients injured while cycling across New Jersey, Morris County, and Sussex County, including communities such as East Hanover, Morristown, Parsippany, Denville, Dover, Netcong, Hopatcong, and Newton. If you or someone you know has been injured while cycling, please speak with Michael Burakoff and our legal team today in a free and confidential consultation regarding your options for making a successful financial recovery. Contact us online, or through either our Newton office or our Morristown office at (973) 520-0525. 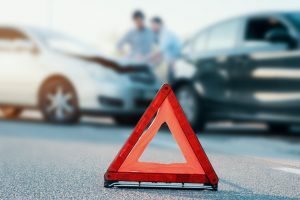 The State of New Jersey is a no-fault auto accident state, meaning that drivers have insurance to cover their own injuries and damage in the event of a motor vehicle accident rather than insurance being required to pay the other party. However, this does not mean that you cannot sue the insurance company of a negligent driver who causes personal injuries or property damage. It is important to remember that insurance companies are for profit businesses and, although it is a big part of what they do and the product they provide, any money that they pay out goes against their bottom line. For this reason, some insurance companies have become very adept at getting people to accept a smaller payment than they deserve. The Law Offices of Michael P. Burakoff has extensive experience dealing with insurance companies and recovering full and fair compensation for his clients who have suffered personal injuries in all types of motor vehicle accidents due to third-party negligence in towns across Morris County and Sussex County. Call either our Morristown office or our Newton office today at (973) 520-0525 to discuss your individual needs, concerns and situation. There are several common tactics employed by insurance companies across New Jersey in order to pay as little as possible to victims injured in car accidents, motorcycle accidents and truck accidents. On their surface and without full knowledge these offers may seem fair. However, in many cases the amount paid can be far below your actual needs especially in cases of catastrophic injuries that can cause permanent disability such as traumatic brain injury and spinal cord injury among others. The offering of an upfront lump sum payment. Because litigation sometimes takes months and even years, receiving funds immediately may seem to be the solution to any money problems you may currently have. The problem is that the amount you receive may be inadequate to meet your long-term needs. In many instances further injuries may become apparent later and accepting a lump sum settlement upfront may make it difficult, if not impossible, to gain the full and fair compensation you may need to make your life whole again. Convincing you to accept some blame. Although this may happen in a seemingly casual conversation with an adjuster, the problem is that anything you say can be used by the insurance company against you and your rightful claim. It is recommended that you keep from discussing fault altogether. The settling medical claims prematurely. Generally, property damage and medical liabilities in accidents are handled separately. The insurance company may offer to pay both together in an immediate payment. The problem is that your health may deteriorate later and you may need further treatment. Grouping both property and medical expenses together may make sense for the insurance company but will seldom be to your advantage. Though a motor vehicle accident, for many of us, is a rare event, but it is something that insurance companies deal with on a daily basis. They often know the stress you may be under physically, emotionally and financially can make you vulnerable. For this reason, you will need someone who can match their experience and has knowledge of the law to be your adviser and representative when dealing with the negotiation and litigation related to your case. It is critical to have someone who knows what you deserve and will fight to make sure you get it. Though large insurance companies may seem intimidating it is important to remember that you do not have to face them alone. Attorney Michael P. Burakoff has decades of experience recovering full and fair compensation for our clients injured in motor vehicle accidents across New Jersey, Morris County, and Sussex County, including communities such as East Hanover, Morristown, Parsippany, Denville, Dover, Netcong, Hopatcong, and Newton. If you or someone you care about has been injured in a motor vehicle accident, please speak with Michael Burakoff and our legal team today in a free and confidential consultation regarding your options for making a financial recovery that is fair and just. Contact us online, or through either our Newton office or our Morristown office at (973) 520-0525. Being a doctor comes with tremendous responsibility and extremely high levels of stress. The decisions made by doctors can literally mean life or death. 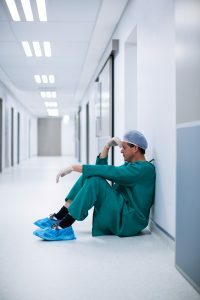 If you couple this high-stress role with the long hours it can often provide, we should be surprised that there are not more examples or instances of medical negligence for doctors who regularly perform surgeries in the US. Studies have clearly shown that overworked and fatigued doctors are less effective and far more likely to make grave mistakes that can lead to medical malpractice, personal injuries and in some cases the wrongful death of patients. The Law Offices of Michael P. Burakoff, understands the damage that a medical mistake can cause and we have extensive experience recovering full and fair compensation for our clients of all ages who are the victims of medical malpractice or negligence in towns across Morris County and Sussex County, including Parsippany, Newton, Netcong, Dover, Denville, East Hanover, and Morristown. Call either our Morristown office or our Newton office today at (973) 520-0525 to discuss your individual needs, concerns, and situation regarding any kind of personal injury or medical malpractice in a free and confidential consultation with our legal team. There are several studies that have shown that a majority of American doctors are often overwhelmed by their workload to the point of burnout. This can increase the risk of medical errors, according to researchers from Stanford University. The study which was titled “Physician Burnout, Well-being, and Work Unit Safety Grades in Relationship to Reported Medical Errors” was published in the Mayo Clinic on July 9. The survey was conducted of 6,700 doctors. Among them, more than half (55 percent) reported symptoms of burnout. The study also found that burned-out doctors were twice as likely to make errors in medical judgment, errors in diagnosing illness as well as technical mistakes during procedures. Radiologist, neurosurgeons, and emergency room doctors had the highest rate of error while the lowest numbers were reported by pediatrics, psychiatrists, and anesthesiologists. According to estimates from previous studies, these medical errors can be responsible for a shocking 100,000 to 200,000 deaths each year. Be provided with an understandable explanation from your physician of your complete medical condition including recommended treatment, expected results, risks and reasonable alternatives. Give informed written consent prior to the start of specified, non-emergency medical procedures or treatments only after your physician has clearly explained specific details about the recommended procedure or treatment, the risks, time to recover as well as reasonable medical alternatives. Receive appropriate assessment and treatment for pain in a timely manner. Attorney Michael P. Burakoff and our law office have decades of experience at recovering full and fair compensation for our clients injured by medical malpactice across New Jersey, Morris County, and Sussex County, including communities such as East Hanover, Morristown, Parsippany, Denville, Dover, Netcong, Hopatcong, and Newton. Our firm prides itself on working closely not just with our clients, but their families as well. We focus on keeping our clients and their families informed and involved throughout the legal process as we work at securing them the compensation they need and deserve. Please speak with Michael Burakoff and our legal team today in a free and confidential consultation regarding any type of medical malpractice and your options for making a successful financial recovery. Contact us online, or through either our Newton office or our Morristown office at (973) 520-0525. There is always a level of fear and uncertainty shared by all parents each day as children are sent out into the world; the fear of a predator or kidnapper taking the child, the fear of cars flying by on a busy street, or the quite common fear shared by many parents of having their child riding a school bus when the bus gets into a motor vehicle accident. Although the school bus itself is a large, heavy, considerably stable vehicle for them to travel in; many of us have concerns about adequate seat belts, a functional and operational engine and break system. These fears stem from the realization that not all school buses or bus drivers are created equal and that accidents involving school buses that are filled with child on their way to or from school can result in a variety of personal injuries ranging from minor to catastrophic injury; and in tragic cases even loss of the life. A Mount Olive parent recently had to face this grim reality, when their child lost their life as a victim in a bus accident resulting from and due to the negligence of a bus driver. Parents across New Jersey place their trust in school buses and bus drivers to transport their children to and from school, and even children who don’t regularly ride the bus will still board buses a few times a year for class field trips. Though not as common as an everyday motor vehicle accident, or even an accident involving a commercial truck, a pedestrian or bicyclist on the roadway, when school bus accidents do occur send a chill down every parents’ spine knowing that it could have been their child’s bus that was involved. If your child is involved in a school bus accident and has sustained injuries, it is imperative to contact an experienced attorney as soon as possible to protect you and your child both financially and medically. The Law Offices of Michael P. Burakoff has extensive experience handling all types of motor vehicle accidents in Parsippany, Hopatcong, Mt. Olive, Andover, Newton, Morristown and across both Sussex and Morris Counties. Speak with Michael Burakoff about how to receive fair and just compensation for the injuries and suffering of your child. Contact us online, or call to schedule an appointment at either one of our convenient office locations: Morristown or Newton (973) 520-0525. Any number of devastating injuries may result from a serious school bus accident, including but certainly not limited to traumatic brain injuries, spinal cord injuries, paralysis, bone fractures and/or soft tissue injuries. These devastating injuries are usually the result of what is considered a primary injury. Secondary injuries can occur when childrens’ travel items or belongings such as loose sports gear or backpacks come into play. When we see these types of belongings, that students carry on board their buses every day, flying across the bus this can and will create even greater hazards inside a school bus during collisions. Many children sustain secondary injury from improperly stored items inside the bus. Even children who escape serious physical injury often suffer lasting psychological trauma resulting from the collision and seeing their peers seriously injured which isn’t always easily diagnoses and often ignored. Every child deserves the best possible chance of recovering fully from the physical and emotional trauma of a school bus accident. That often requires ensuring that their families obtain the fair and reasonable compensation necessary to pay for any medical treatment they need wit, physical therapy, and even emotional or psychological care without these necessities becoming a threat to their families’ financial stability. New Jersey is one of only six states that obligate safety restraints on full-sized school buses. At present, there is no federal law mandating seat belts on school buses, and thus safety features are not present on the majority of buses nationwide. In fact, as a result of the tragic Mt. Olive crash Governor Phil Murphy recently signed a bill making bus safety laws far more strict and designed to make all New Jersey children safer when traveling on school buses. The bill requires all new buses to have both lap and shoulder belts for all passengers. Additional measures proposed include more stringent requirements for school bus drivers and those that employ them. 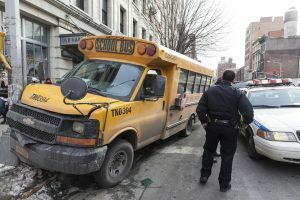 Attorney Michael P. Burakoff has decades of experience recovering full and fair compensation for our clients whose children have been injured in school bus and other types of vehicle accidents in communities such as East Hanover, Morristown, Parsippany, Denville, Dover, Netcong, Hopatcong, and Newton and across Morris and Sussex County, NJ. Our firm understands how precarious a family’s situation can become as medical expenses mount as the result of caring for an injured child, whether the injuries are physical or psychological. That’s why we focus on keeping our clients and their families informed and involved throughout the legal process as we work to secure them the compensation they both need and deserve to make your life whole again. Please speak with Michael Burakoff and our legal team today in a free and confidential consultation regarding any type vehicle accident to learn about your options for making a successful financial recovery. Please contact us online, or call to schedule an appointment at one of our conveniently located offices in Newton or Morristown, NJ. Workers’ Compensation and personal injury claims cost employers the loss of countless dollars, man hours and productivity. Hot days put outdoor workers at elevated risk of heat related problems like extreme sunburns and especially heatstroke. Without proper precautions and safety measures, people can suffer a number of heat-related illnesses none of which should not be taken lightly. The Environmental Protection Agency states that, an average of 1,500 people die each year from exposure to excessive heat. Fatalities are not the only effect of excessive heat on workers, especially if they work outdoors. The Law Offices of Michael P. Burakoff, has extensive experience recovering full and fair compensation for our clients who have been stricken with a heat-related illness at work due to lax safety precautions in towns across Morris County and Sussex County, including Newton, Netcong, Dover, Denville, Parsippany, East Hanover, and Morristown. Please contact us online, or through either our Newton office or our Morristown office at (973) 520-0525 for a free and confidential consultation. Though outdoor workers are more at risk in the summer months, many other workers are at risk all year. In reality any job site that involves high radiant heat sources, high air temperatures, high humidity levels, heavy physical labor and/or direct physical contact with hot objects is at increased chances for workers to develop heat stress-related illness. However there are established safety standards to prevent illness and fatalities related to excessive heat exposure. Sadly many job supervisors do not take the proper safety precautions to protect their workers. These unsafe work environment dramatically increase the risk of heat illnesses such as heat stroke, dehydration, cramps and rashes and extreme sunburns. 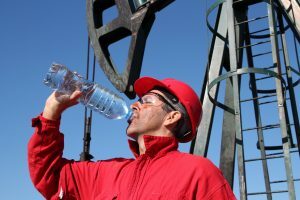 Most heat-related illnesses caused by excessive exposure to heat and/or sun can be prevented if the appropriate precautions are taken, including proper hydration, use of sunscreen, rest and shade for workers when needed. The New Jersey Department of Health warns that prolonged exposure to high temperatures can cause heat stroke and death. Drink plenty of water or other non-alcoholic beverages. Use sunscreen with SPF 15 or higher and both UVA and UVB protection. Wear loose and light-colored clothing. Wear a hat when outdoors. Talk to your health care provider about any medicine or drugs you are taking. Certain medications can increase the risk of heat-related illness. It is important to remember that people who are suffering heatstroke can go from appearing normal to extremely ill in a matter of minutes. Hot, dry skin, a high body temperature of 106 degrees or more, an absence of sweat, and a rapid and strong pulse are all early signs. Victims can become delirious or unconscious. A person suffering from heatstroke requires immediate medical attention. Attorney Michael P. Burakoff and our law offices have decades of experience recovering full and fair compensation for our clients injured due to lack employer precaution across New Jersey, Morris County, and Sussex County, including communities such as East Hanover, Morristown, Parsippany, Denville, Dover, Netcong, Hopatcong, and Newton. Our firm works closely not just with our clients, but also their families. We understand completely how precarious a family’s situation can become as medical expenses mount and the injured party remains unable to work. That’s why we focus on keeping our clients and their families informed and involved throughout the legal process as we work to secure them the compensation they both need and deserve to make your life whole again. Please speak with Michael Burakoff and our legal team today in a free and confidential consultation regarding any type work related heat-related illness and your options for making a successful financial recovery. Please contact us online, or through either our Newton office or our Morristown office at (973) 520-0525. Many people are generous with their vehicles. Whether helping a friend or family member who does not have a car or as a gesture of friendship, it is not uncommon for people to loan their vehicle to someone else. However this is not an activity that should be done without thought and knowledge of the possible consequences. It is critical to understand that loaning your vehicle, be it car or motorcycle, opens you to liability in cases of motor vehicle accidents or pedestrian accidents in which your vehicle may be involved. In addition catastrophic injuries that may be sustained such as traumatic brain injury, spinal cord injuries and even death can make you liable in personal injury claims or wrongful death suits. If a vehicle you, a friend or family member loaned to someone else is involved in a accident involving injury or substantial damage to property, it is imperative to contact an experienced attorney as soon as possible. The Law Offices of Michael P. Burakoff has extensive experience in motor vehicle accidents in Parsippany, Hopatcong, Mt. Olive, Andover, Newton, Morristown and other towns all over both Sussex and Morris County. Speak with Michael Burakoff about how to limit your liability in order to protect both you and your family from potentially catastrophic financial consequences. Contact us online, or through either our Morristown or Newton office at (973) 520-0525. If you loan your vehicle to someone else and that vehicle is involved in an accident you will be liable. It is a common misconception that car insurance is for the driver of the car. However the truth is that, in most cases, it is the vehicle that is insured. Loaning your vehicle means loaning your insurance. The State of New Jersey follows a “no-fault” insurance system. This means that every vehicle on New Jersey roads is legally required to have a personal injury protection (PIP) insurance policy. This policy is meant to pay for any medical costs for you or anyone who is injured in an accident caused by your vehicle. In the event of an accident, even if you loaned your vehicle, your policy will be the primary coverage for any injuries or damages sustained in any accident involving your vehicle. This can mean having to pay a large deductible on your policy and can even mean a substantial increase in your insurance premium. What Can A Rockaway Motor Vehicle Accident Attorney Do For You? 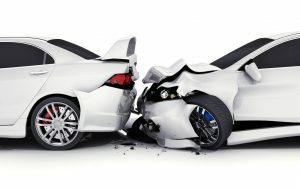 If your vehicle is involved in a crash it is important to move to reduce your liability immediately. An experienced attorney who knows how to negotiate with insurance companies can make all the difference. Navigating the system can be quite confusing and difficult. Though you may have a PIP policy you may still have to pay out of pocket property damage as well as other expenses. Seeking representation is highly recommended in case of any vehicle accident and can help to reduce your exposure to liability. The Law Offices of Michael P. Burakoff has more than 35 years of experience in helping our clients in towns across New Jersey, Morris County, and Sussex County including Andover, Roxbury, Hopatcong, Mt. Olive, Parsippany, Morristown, and Newton to reduce their exposure to liability. Attorney Burakoff has the resources and experience to handle insurance claims and lawsuits stemming from any type of motor vehicle accident. Contact Michael Burakoff and our legal team today for a free and confidential consultation regarding your motor vehicle accident. Please contact us online or at our Morristown or Newton offices at (973) 520-0525. When something as catastrophic as wrongful death occurs as the result of a workplace accident is a tragic and traumatic way to lose a family member. Historically construction work is one of the more dangerous professions. From scaffolding and ladder accidents, forklift accidents, crane accidents as well as other types of unfortunate incidents; construction sites have traditionally been dangerous work places especially when not all safety precautions are taken. This is a fact that is well known to families of those who hold jobs in the construction industry. In the tragic event that you lose a family member to a construction accident it is important that all their rights and the rights of your family are protected. The Law Offices of Michael P. Burakoff, represents clients with many years of experience in recovering full and fair compensation for those injured or killed in construction accidents of all kinds. Michael has represented victims in towns across Morris County and Sussex County, including Newton, Netcong, Dover, Denville, Parsippany, East Hanover, and Morristown, NJ. Please call our Morristown office or our Newton office to discuss your family’s needs, concerns, and unique situation regarding any kind of construction site injury in a free and confidential consultation with our legal team. A construction accident wrongful death claim is usually filed by a spouse or child of the decedent but may also be filed by the person who has been left in charge of the deceased’s estate. This may include other authorized representatives of an estate. The decedent’s spouse, children or grandchildren, parents and siblings, and others who may have been economically dependent upon the decedent may benefit from restitution. If you were an economic dependent of someone killed in a construction or other workplace accident then it is critical to have your interest represented by an experienced and qualified attorney. • A wrongful death claim which asserts and seeks compensation for losses and damages suffered by the heirs of a decedent. • A survival action which seeks to secure compensation for pain and suffering of the decedent, and perhaps, lost wages from the time of the accident until the decedent’s passing from their accident related injuries (often that can be many months or years after the incident). The Statute of Limitations for wrongful death claims in New Jersey construction accidents is two years. Meaning that the claim must be filed with the courts within two years of the date of the indecent. However, depending upon the entities involved there may be notices required within 90 days of the decedent’s passing. For this reason it is important to retain legal counsel immediately. Moreover, time is critical when it comes to collecting and protecting valuable information and evidence. Speaking with a Netcong Construction Accident Attorney can help to assure that you take the correct action as quickly as possible. At The Law Offices of Michael P. Burakoff, our legal team has extensive experience recovering fair compensation for the victims and families of work-related accidents and injuries of all kinds in towns across Morris County and Sussex County, including Dover, Hopatcong, Parsippany, Netcong, Newton, Morris Plains, Denville, Morristown, and more. Attorney Michael Burakoff believes in working closely with the families of those who have tragically lost their lives in construction accidents in order to get a full and complete understanding of the impact the passing of their family member has had on them emotionally and financially. This allows us to pursue a settlement that best represents their losses as well as their needs going forward. Speak with Michael Burakoff and our legal team today in a free and confidential consultation regarding any kind of work-related accident, injury or death. Learn your options for making a successful injury recovery, and how exactly we can help you to do so, please contact us online, or through either our Morristown office or our Newton office at (973) 520-0525. Many who have been involved in even a minor motor vehicle accident can attest that it is a very traumatic experience. Accidents can be caused by or as a result of many things; such as drunk drivers or distracted drivers or dangerous road conditions. However, no matter the cause of the accident it is important to keep your wits about you as much as possible and begin the process of recovery; be it physical, emotional or financial. An experienced attorney will help you navigate the intricacies of an auto accident claim, and help you make the critical decisions that can and will impact your future. In many cases motor vehicle accidents can result in personal injury, substantial damage to property and even, in many tragic cases, wrongful death. It is advisable to have an advocate in your corner immediately, someone who can help you establish or mitigate liability and be your representative to insurance companies or other lawyers. Attorney Michael P. Burakoff, utilizes a family-focused approach that has earned us the respect and gratitude of our clients and their families facing difficult and traumatic situations in towns across Morris County and Sussex County, including Newton, Dover, Denville, Netcong, Hopatcong, Rockaway, Parsippany, and Morristown. Contact us to discuss your family’s unique needs, concerns, and situation when it comes to any type of motor vehicle accident in a free and confidential consultation with our legal team today. Please call our Morristown office or our Newton office. What to do after a Morristown Car Accident? Immediately after an accident it is important to remain calm. First, you should ascertain if you yourself have been injured. Next you should check on the well being of any passengers who may have been traveling with you. After that you should, to the best of your ability, see if anyone else has sustained injuries, both the vehicle occupants or if someone has been injured as a result of a pedestrian accident. If there are any injuries, anyone is in need of medical attention, and/or public or private property has been damaged as a result of the crash, law enforcement should be contacted immediately. 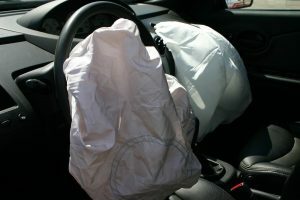 Studies have shown, including those done by the Insurance Institute for Highway Safety (IIHS), that it is safest to remain inside your vehicle after a motor vehicle accident as long as there is not clear and present danger. Secondary events, accidents and fatalities can be caused by disoriented and confused accident victims when they enter a dangerous roadway after a crash. If your vehicle is blocking the roadway, it may be best to turn on your hazard lights in order to alert other motorist of your presence. Upon arrival of authorities the vehicles can be moved, and information should be exchanged with all parties involved such as names, addresses, phone numbers and driver’s licence numbers. After completing all of the steps reviewed in the above sections, there is a very common course of action that many people follow and that begins with a call to their insurance company. However, it is important to remained focused on protecting the rights of you and your loved ones, especially if serious injuries have occurred. A claim represents a cost to Insurers. That is not to say that all insurance companies are ill willed or out to get you. However, the higher the payments made to individuals submitting claims, the lower the profits are for the insurance company. You should avoid signing any settlement agreements, do not accept any offers, be sure to document injuries, seek treatment, and document property damage. We all have heard at least one of the countless stories of people who have faithfully made payments for years without a claim only to have to fight with insurers for fair and just compensation when that insurance is needed. For this reason an experienced Morris County or Sussex County attorney can make the difference to put you and your family in a position to help expedite and improve your physical, emotional, and financial recovery. Because most people are not students of the law, they may not understand the legal process and know exactly what the law may say they are entitled to as defined by fair compensation and what Insurers are required to cover. The insurance company will definitively have access to counsel on their side of the claim, and it important that you represent a position of strength as well through retaining an experienced Injury Litigator. The Law Offices of Michael P. Burakoff, is conveniently located in both Sussex and Morris County, and have recovered full and fair compensation for motor vehicle accident victims in towns including Parsippany, Mt. Olive, Hopatcong, Roxbury, Andover, Newton, Morristown, and most neighboring communities. Arm yourself with the resources and experience you need to handle insurance claims and lawsuits following any kind of motor vehicle accident. Speak with Michael Burakoff and our legal team in a free and confidential consultation regarding you or a family member’s motor vehicle accident injuries and damages. Contact us online, or through either our Morristown office or our Newton office at (973) 520-0525. To speak with one of our highly knowledgeable attorneys, contact us today at (973) 520-0525 or toll-free at (877)-830-8211. You can also complete the form below to begin your conversation. We are a personalized, boutique-style law firm that offers free initial consultations and flexible appointment options. THE LAW OFFICES OF MICHAEL P. BURAKOFF, P.A. Our firm helps clients and families to recover full and fair compensation for all manner of accidents and injuries in towns across New Jersey, Morris County, and Sussex County, including Newton, Morristown, Hopatcong, East Hanover, Mt. Olive, Parsippany, Netcong, Rockaway, Roxbury, Morris Plains, Dover, Florham Park, Allamuchy, Denville, Chatham, and more. © 2017 by Law Offices of Michael P. Burakoff, P.A. All rights reserved.